Blossburg is a rural community located in northern Pennsylvania in Tioga County. 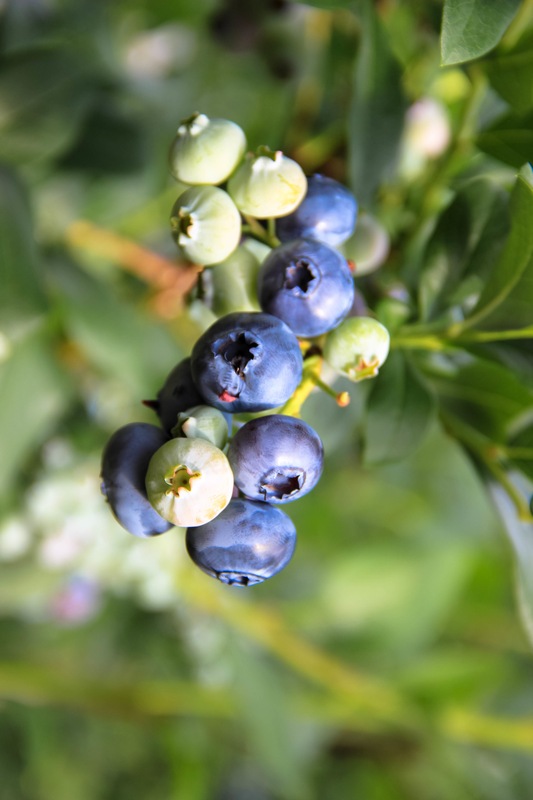 Blossburg originated as a coal mining town in the early 1800’s and the industry thrived for nearly 150 years. Coal mining has given way to natural gas in recent decades and Blossburg has experienced several ‘boom and bust’ periods from this industry. The population of the borough was 1,538 in 2010, decreasing from 1,956 in 1960. The median household income level was $34,924 in 2010, more than $15,000 lower than the Pennsylvania state median. Many rural communities in Pennsylvania face significant technical, managerial, and financial issues with their water and wastewater systems. Blossburg Borough is fortunate to have very competent leadership and a capable staff, but often faces issues with aging infrastructure and lack of funding. Additionally, the water and sewer authority needed an updated asset inventory and updated water and wastewater system maps. 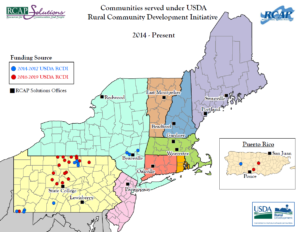 In 2014, USDA Rural Community Development Initiative awarded RCAP Solutions a grant to provide GPS and GIS mapping services to a number of rural low income communities including Blossburg. The borough manager and public works department have been very involved and supportive of every aspect of the RCAP project. 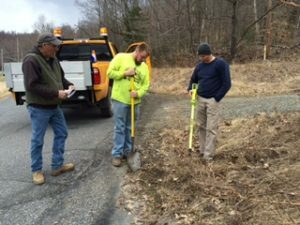 Over a four week period in spring 2016, RCAP and the Blossburg Borough authority staff completed a comprehensive GPS inventory of the water and wastewater system. This data was then transferred to a GIS mapping system. RCAP Solutions also partnered with the Tioga County GIS Department and Tioga County Source Water Protection Coalition to create an online water and wastewater web application to view the authority’s data. This project allowed Blossburg Borough to have an accurate, detailed inventory of their assets, as well as access to an online GIS platform to view their system maps. This will help them immensely with the effectiveness of their day to day operational work and will also assist with long term planning. Additionally, RCAP Solutions was able to network and establish important relationships with several Tioga County departments and has become very involved with the Source Water Protection Coalition. RCDI is specifically targeted to training and technical assistance for rural low-income communities and affords them opportunities they might not otherwise get access to. The community must be 80% below the state non-metropolitan median household income and below a maximum population threshold of 50,000. The communities that have participated in utility mapping and managerial and financial capacity building with RCAP Solutions with this funding would not have been able to afford these valuable services otherwise. Many of the communities that RCAP Solutions works with have no maps of their system at all or very outdated and/or incomplete maps. Full system mapping enables them to: respond quickly to minimize threatened or actual interruption of service; facilitate asset tracking and repair and replacement planning and implementation; provide documentation for system upgrade engineering reports and funding applications; and support emergency planning and response activities. In the northeast U.S., GPS locating of assets is critical in the winter months when valuable time can be lost finding and uncovering system components. The maps are created in both digital and physical formats for the community and they receive training on how to access and manipulate the digital maps for optimal system operation and management. Under the RCDI program, RCAP Solutions also conducts additional training to benefit lower-income communities including managerial capacity building. In New York RCDI has also helped RCAP to facilitate training of community Code Enforcement Officers and other residential wastewater professionals on topics related to onsite wastewater treatment systems, including fundamentals, inspection procedures, and technology alternatives. RCDI is very broad in what it allows a Technical Assistance Provider to do to support low income communities and really concentrates on a number of aspects of a community’s needs to foster self-sufficiency and overall community development. 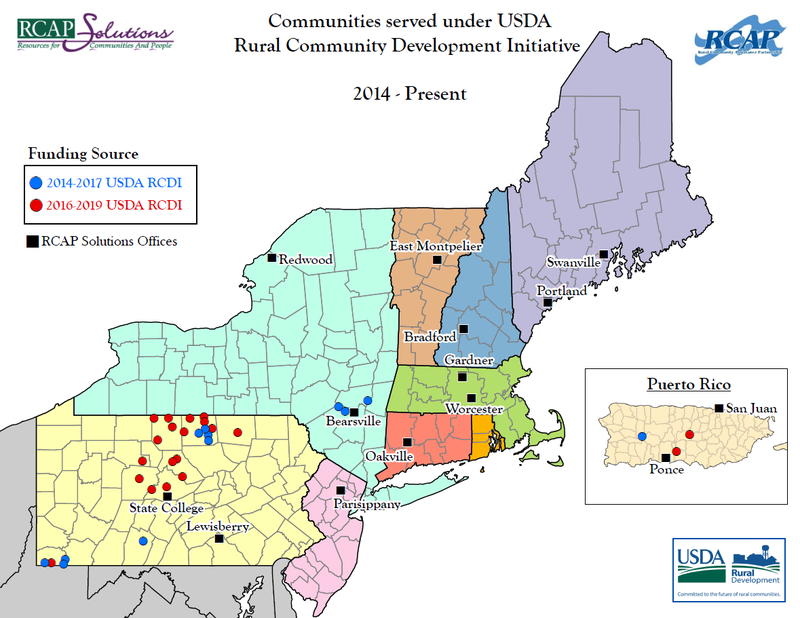 Click on the map below to expand and see locations of over 30 current and past RCDI projects in New York, Pennsylvania, and Puerto Rico. Located in the Northeast Massachusetts Town of Boxford and developed in 1994, the Andrews Farm residential community was the first community built under Massachusetts’s Chapter 40B law. This law requires that a minimum of 25% of the community has an income at 80% or below the area median income. 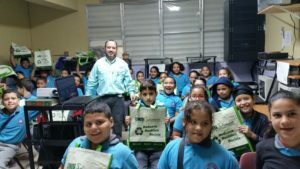 On the request of USDA’s Rural Development Office (RD), RCAP Solutions met with the community and worked with them to develop an asset management plan using US EPA’s Check up Program for Small Systems (CUPSS). With that asset and capital improvement information and then calculating the depreciation of assets, RCAP performed a system value evaluation which has been accepted by RD to facilitate a future sale of the system. At this point in the project the focus shifted from assisting the water system through a sale to an emergency situation when on June 17, 2016 at 5:30 pm the community’s 3,000-gallon pneumatic drinking water storage tank exploded. The explosion destroyed much of the water system’s infrastructure including its pump house, and the incident left 53 homes without running water. I was at home watching the local evening news that night and saw the breaking news come in live. Fox 25 Boston news reported that Brandon Shaw, a visitor to the community that day said: “All of a sudden there was a huge bang, the ground shook, and I heard all the glass shattering…I was walking thirty feet away; if I was a couple minutes later I would’ve been right in front of it.” The contract water operator for the community had been in the pump house less than an hour prior to the explosion but thankfully he has already left. No one else was injured. The incident was so dramatic it resulted in the Massachusetts Department of Environmental Protection’s (MASS DEP) Drinking Water Program to remind all water systems in the Commonwealth to inspect their storage tanks every 5 years, as required, especially pneumatic storage tanks. In that memo MASSDEP reminded systems to follow manufacturer guidance on useful life as structural integrity may be compromised after that. 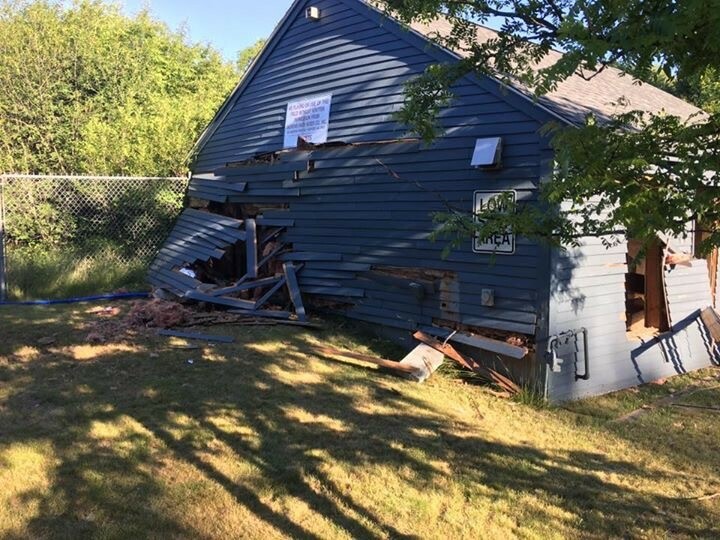 They also mentioned that a very similar incident occurred in June 2015 in North Stonington, CT.
An RCAP Solutions Specialist immediately was in contact with the owner to provide technical assistance and guidance to get the process of repairing the system started, which included many obstacles that had to be overcome during the process. 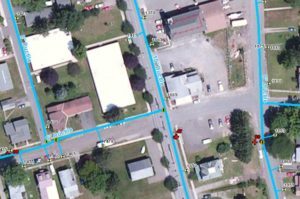 An immediate concern was finding $100,000 to re-build the water system and to winterize the emergency connection which at the time was located above ground. The insurance company for the water system concluded that the cause of the damage to the water system was excluded from coverage, a conclusion the water system did and continues to dispute as they had just had their storage tanks inspected 11 months prior to the incident by a reputable outside contractor who did not note any deficiencies. The water system had $1.6 million in coverage prior to the incident but in total they only received $128,000 in insurance funds to winterize the emergency connection and rebuild the pump house. This led the water company to seek out other sources of funding to re-build the system. The water company is privately owned and prior to the emergency was preparing to be sold to prospective buyers including the neighborhood residents themselves if a cooperative was formed. Being a privately owned for-profit water company, the funding options were limited but many were explored with RCAP Solutions’ assistance including a submitted application to our RCAP network partner organization, Communities Unlimited (CU). 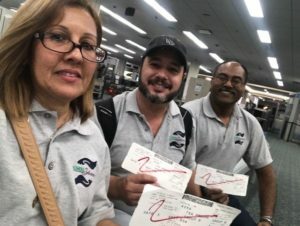 They have a Revolving Loan Fund, but their loan terms could not be met by the water company, so the system ownership ended up supplying the needed capital to re-build the system which in total was approximately $240,000 above and beyond the emergency connection winterization costs. RCAP Solutions’ assistance also included technical assistance throughout the construction planning and design stage. The usual process of selecting an engineer, applying for public agency permits etc. were accomplished but additional unusual obstacles were met throughout. These obstacles included an order from the neighboring water system which acting as the emergency water source, for Andrew’s Farm to re-build their system and be self-sufficient by July 1, 2017 as they were no longer going to provide water to the water company after that date or serve as an emergency back-up supply again. This greatly increased the urgency to re-build as soon as possible and brought about the need for extra water storage for emergencies since this emergency connection would no longer be viable. This decision was ultimately reversed by the neighboring water system’s board and today they continue to serve as an emergency backup source to Andrew’s Farm. Another obstacle was the FEMA flood maps. The maps showed the original pump house which had been destroyed as being in a flood plain, but this seemed to be an error because areas downgrade from the pump house even were not in a flood plain. This limited the water company’s ability to build beyond the original footprint under local building codes. With innovative design by the water company’s engineer, this obstacle was successfully overcome. A third obstacle was the water company’s ability to raise user rates to pay for repairs to the water system. 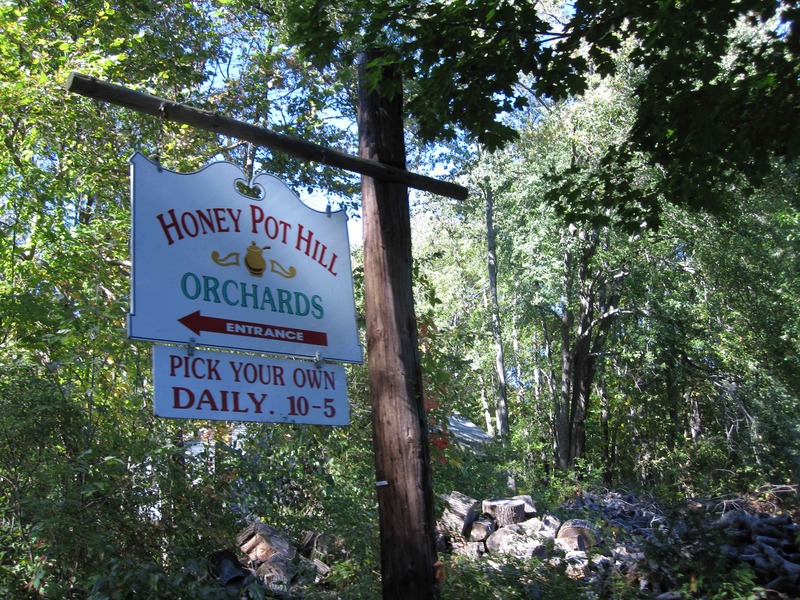 Rate setting for this community is regulated by the Massachusetts Department of Public Utilities (DPU) and a public hearing was required before DPU’s Board for this request. A decision on the rate adjustment request of the water company is still forthcoming from the DPU and should have a final decision in the fall. Despite the obstacles faced, on June 21, 2017, exactly 1 year and 4 days from the tank rupture that destroyed the pump house, the newly re-built pump house, storage and control center was put online and features some significant upgrades and technological advances. The new control panel is the newest electronic technology allowing for remote Wi-Fi connect-ability and control by the system’s owner and contract operator. Also, the building’s side walls were made to be removable to allow storage tank replacement without significant structural alteration. The extremely quick re-building effort was first and foremost the result of a tenacious owner of the water company, Doug Conn, whose background as a builder served invaluable in the effort. Also, the work of the water company’s engineer and MASS DEP’s involvement and prioritization ensured the project could move along expeditiously. Mr. Conn was nice enough to write a letter of support and thanks to us for the assistance RCAP Solutions provided during the recovery stating RCAP Solutions “had always given great advice and been attentive to [their] requests” and that RCAP Solutions “had a lot to do with our success”. RCAP Solutions continues to assist the water company to prepare for an ultimate sale and look for entities that may want to buy the water system including the citizens of the neighborhood. RCAP Solutions has spoken with community members and has offered our technical assistance to them if they wish to pursue the creation of a cooperative to take ownership of the water system.